Captain Jay has developed a top-notch charter service and along with that comes a ride in style. 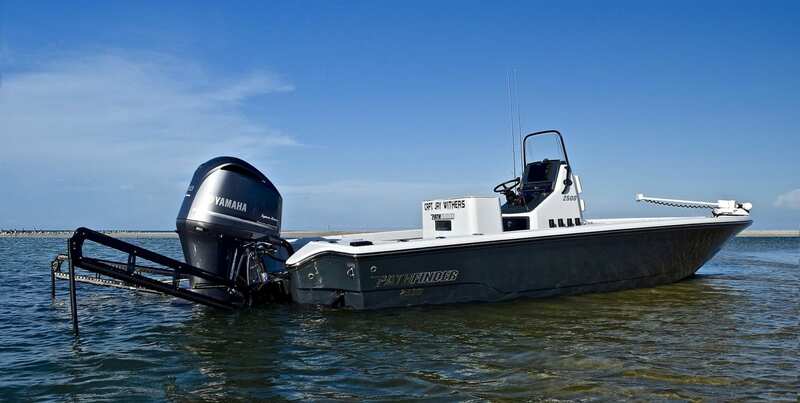 With his custom Pathfinder 2500 Hybrid Bay Boat and his Maverick HPXS flats boat, powered by Yamaha four stroke engines, you can rest assured that comfort and fishability is there. Having the flexibility to cover the open waters and backcountry of Charlotte Harbor allows Capt. 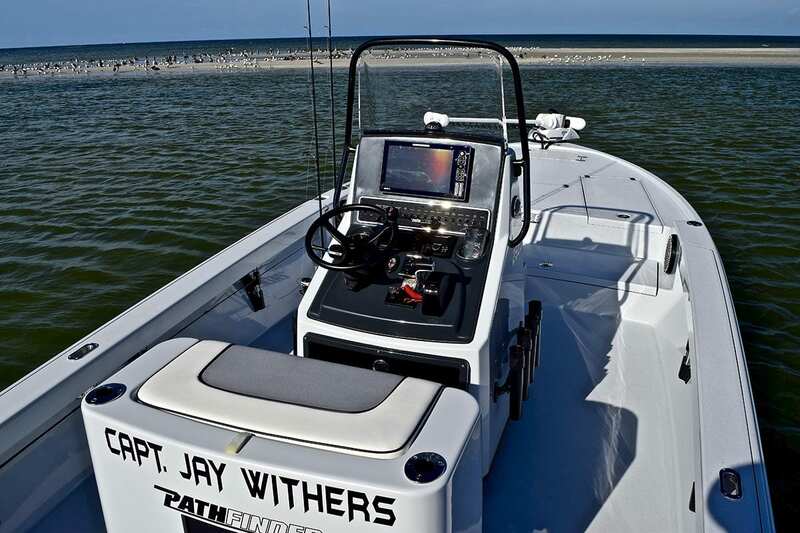 Jay to put his clients on fish anywhere along the 129 square miles of shoreline. 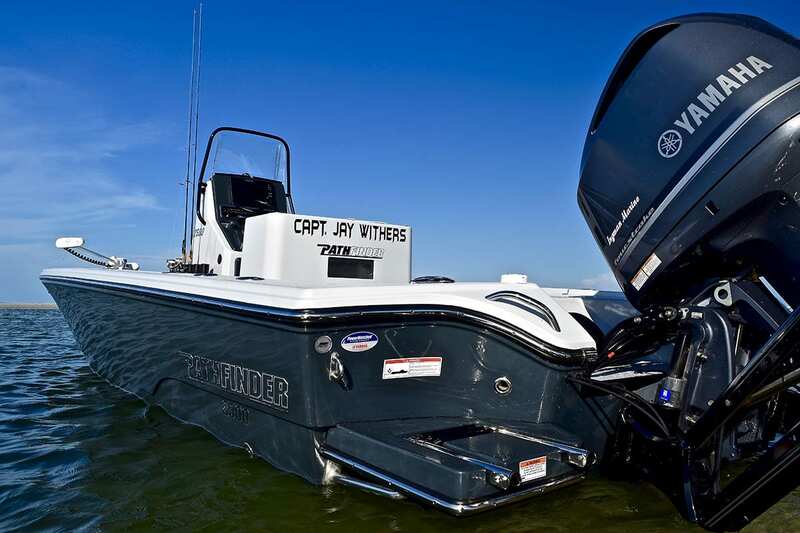 The Pathfinder boat has been Florida’s number one bay boat sold for many years and Maverick flats boats have been the go-to boats for shallow water anglers for even longer. From fishing the flats in just inches of water, to fishing near shore grouper and kingfish, the Pathfinder & Maverick are the way to go. Captain Jay is sponsored by Maverick Boat Company so the complete package in renewed each year. You will not need to concern yourself about worn out equipment; it’s all brand new each year. In some cases, the equipment will help us make the day a success. 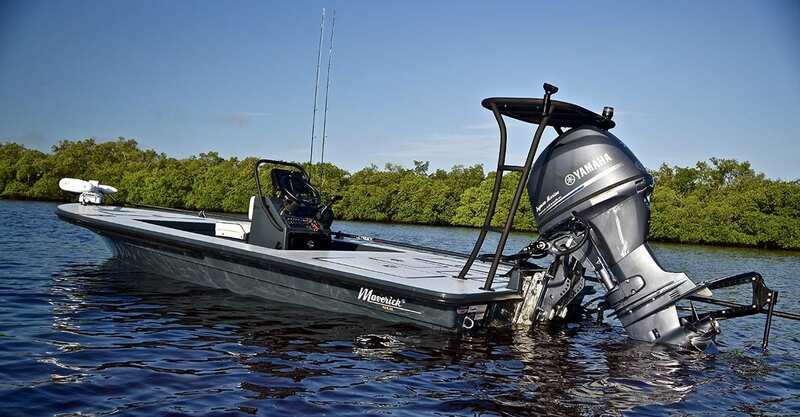 Included in this boat package are accessories such as the TH Marine Atlas Jack-plate and Twin Power Pole Blades, along with Humminbird Electronics & Minn-Kota trolling motors. These items are critical points to have a successful day on Charlotte Harbor. Equipment that give us an edge! 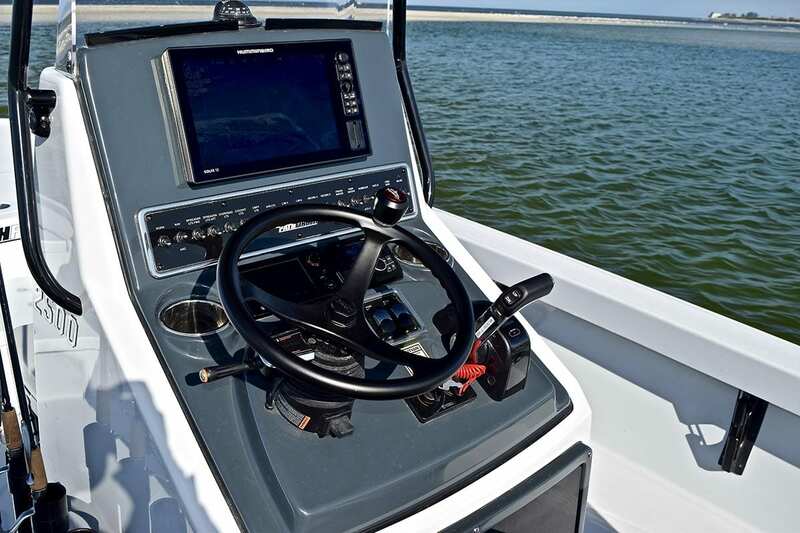 Having the right tools on the boat will simply help us catch more fish and Capt. Jay has associated himself with some of the top manufactures in the industry. From bow to stern, the equipment is a critical asset. Starting with our Minn-Kota Ipilot trolling motor which allows us to sneak up on the fish in shallow water as well as anchor offshore without using a traditional anchor. Our Humminbird Solix 12SI with Navionics Platinum + chip is one of the most important tools on the boat. With the aid of the Side Imaging and the Google Earth look the Navionics chip offers the tarpon don’t really even stand a chance. Our twin Power Pole 10′ Blades keep us anchored and in position to be sure we have the best shot at our target species. Top notch gear & tackle. Our Gear is top of the line Shimano products for spinning & conventional tackle. Capt. Jay has been fishing with Shimano product for over 30 years and the product never lets him down. For our inshore light spinning tackle we use Shimano Nasci 4000 reels and Shimano Teramar 7′ Medium action. All spooled with Power Pro and ready to fish. Our conventional gear consist of Shimano Talica 12 with Shimano Talus Rods. When you come to Tarpon fish here, we come to the battle with the right goods. If you’re into Fly Fishing world… we got you covered. Our gear is ready to go with our GLoomis fly rods and Nautilus reels. If you are ready to have an exciting experience on the water in Charlotte Harbor… BOOK NOW!